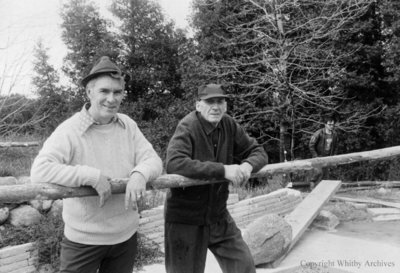 A black and white photograph of Leonard Cullen and Charlie Chambers leaning on a fence rail at Weall and Cullen Nurseries. Weall and Cullen Nurseries, March 1972, Photographer Unknown. Whitby Archives A2013_042_093.